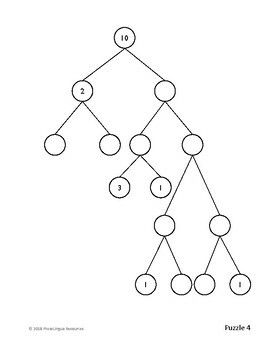 This product contains 12 challenging number bond tree puzzles using addition and subtraction within 10. It also includes an answer key, hints, and an example for students. This resource is designed for students who want or need an extra math challenge using only basic addition facts. It may be used as a differentiated activity for TAG/GATE. 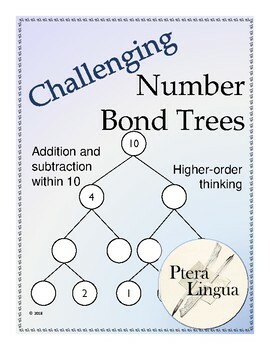 Students will need to use higher order thinking skills and/or have a high level of tolerance for trying many solutions in order to fill in the trees correctly. This resource may be used to teach those skills. 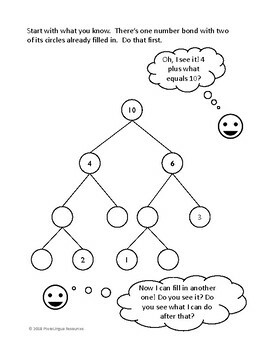 The math itself is not challenging, but the necessary reasoning skills are really challenging. 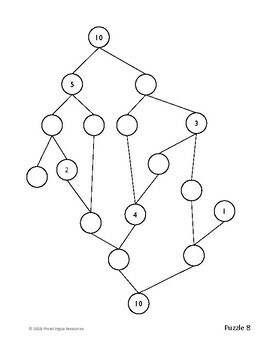 If you want to determine whether these puzzles are an appropriate level of difficulty for your students, please download the free sample before purchasing. Note: The preview has been converted to an image file. The actual resource has high resolution text and graphics.